Russian President Vladimir Putin is holding talks with his American counterpart Donald Trump on the sidelines of G20 Summit in Hamburg, Germany, on Friday. The meeting marks the first time that the two leaders talk in person since Trump's inauguration in January. Russian President Vladimir Putin and US President Donald Trump are holding their historic first ever meeting on Friday on the G20 sidelines, discussing crises in Syria and Ukraine as well as joint anti-terrorism efforts, among other pressing issues on the bilateral agenda. Expectations from the first official meeting between the two presidents have been very high, with Moscow stating the two leader’s working dialogue was "likely vital for the whole world." The meeting is being held in an extended format, with Russia's Foreign Minister Sergei Lavrov and the US Secretary of State Rex Tillerson present. Addressing reporters, Trump said that he has been discussing "various things" with Putin, without specifying the topics. "Putin and I have been discussing various things, and I think it's going very well," Trump told reporters. "We've had some very, very good talks. We're going to have a talk now and obviously, that will continue. We look forward to a lot of very positive things happening for Russia, for the United States and for everybody concerned. And it's an honor to be with you." In his turn, Putin said that he was delighted to meet his American counterpart. 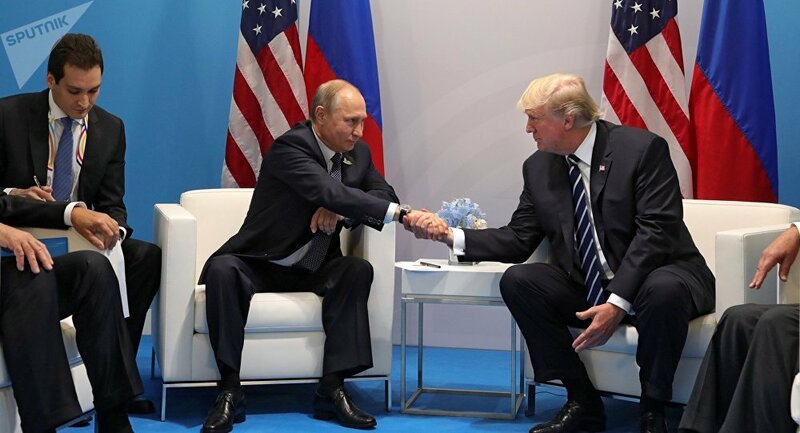 "I'm delighted to meet you personally, and I hope our meeting will bring results," Putin said after shaking hands with Trump. Putin noted that he would like to discuss bilateral relations and issues on the international agenda. Early on Friday, the G20 summit kicked off in the German port city of Hamburg, bringing together the leaders of major world countries and developing economies.